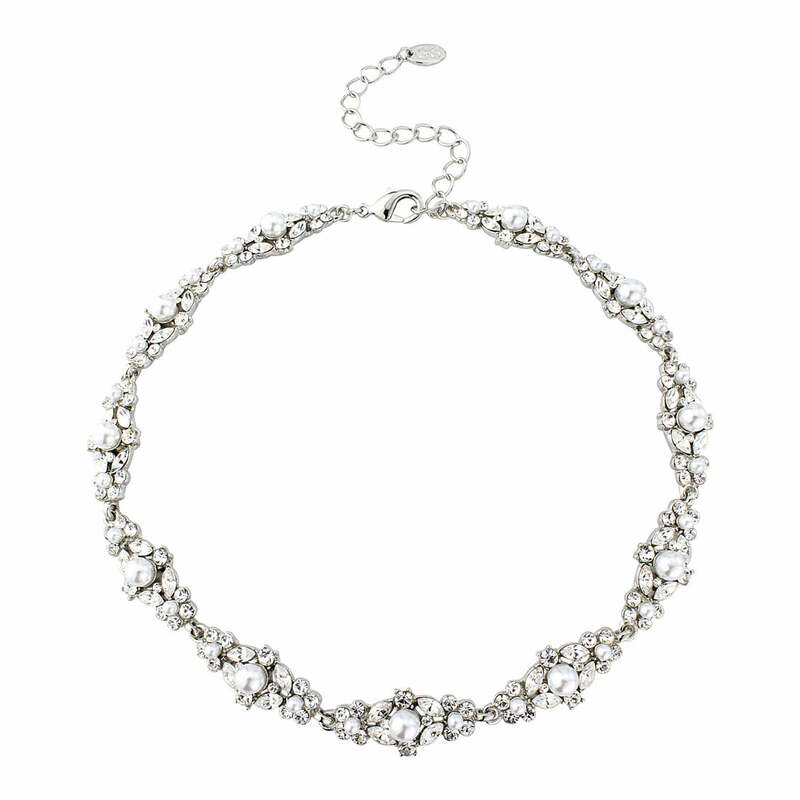 Nestled on the collar bone, this is the perfect necklace for women who adore bygone glamour. Exquisitely elegant! Influenced by the timeless glamour and romance of jewellery from the late 1940s to early 1950s, our Pearls of Splendour Necklace is an exquisite example of eternity style necklaces. Featuring a myriad of sparkling clear Austrian crystals and ivory pearls set on silver tone, this is a beautiful 'piece' which fans of vintage jewellery will love. If you are looking for Hollywood Starlet style team with Pearls of Splendour Earrings and Bracelet, or wear alone for a more understated glamorous elegance. Brides who adore vintage glamour will love this sensational piece which enhances vintage inspired wedding gowns to perfection. From strapless to wide V-necklines, Pearls of Splendour Necklace nestles on the collar bone for a graceful look.